Christmas is without a doubt, the most anticipated day of the year. This beautifully book contains all the recipes you?d expect at this time of year for ham, turkey, sides, desserts and puddings, as well as festive dishes for your vegetarian and vegan guests. 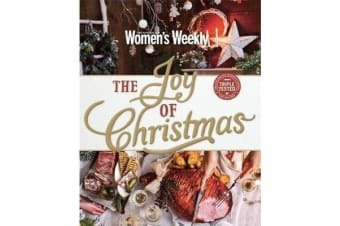 There are also menu ideas, table settings, decorating inspiration and edible gifts, making this book the perfect guide to help you through the festive season.